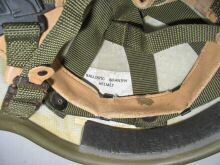 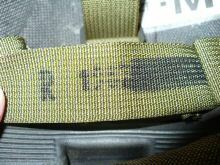 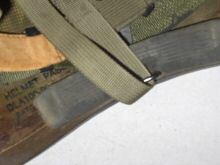 Ballistic nylon M1 clone, the only markings are some Hebrew lettering inside. 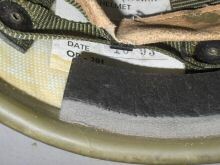 It is 4mm thick so it has some ballistic properties. 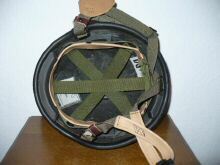 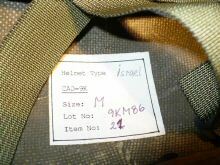 "An M76 made by Tama for the Israeli army. 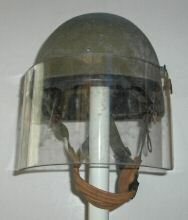 If the date 01.07.1976 is correct this one must be a very early made helmet. 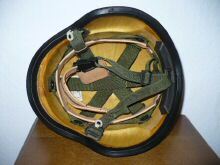 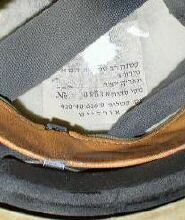 The leather band is US made by Steinberg Bros."
NB - Guy Tirk asserts that the string of numbers Christian assumes is a date of manufacture is in fact simply the unique serial number of the helmet. 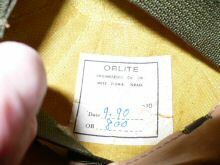 ORLITE M76 - EXPORT VERSION ? 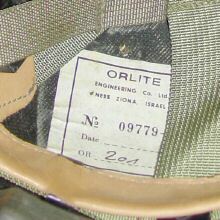 "Orlite named the helmet 201. 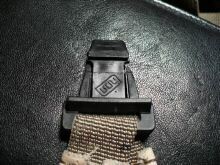 On the leather band is a black R and the year 1982, if I can read it correct. 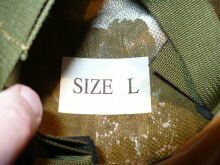 Also an export version I think." 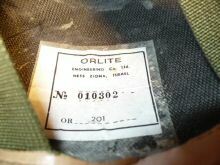 ORLITE 201 - EXPORT MODEL ? 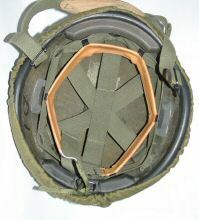 - quality (and cut) of the 4 inner black foam pads (2 side, 1 front & 1 rear)"
PASGT - An Israeli-rebuilt version of the US PASGT helmet. 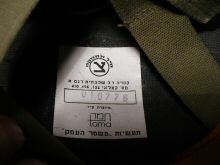 Clearly an Israeli label - but what does it tell us? 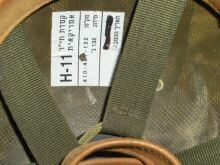 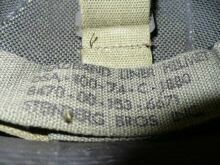 A US makers stamp - this would indicate the shells, perhaps whole complete helmets, are exported to Israel and refitted with locally made chinstraps. 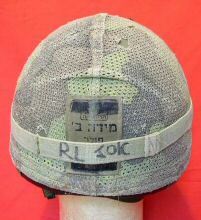 "An Israel reworked PASGT; it is more beneficial to the Israeli economy for the Israelis to get US helmets as military assistance and export the ones they make at home. 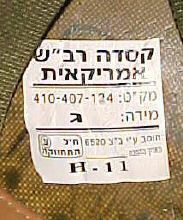 Re the markings,the Hebrew letter Tsal is the Army's acceptance mark, the letter Gimmel is the size - large, 401-407-124 is the stock number, and H-11 is the designation for the PASGT." 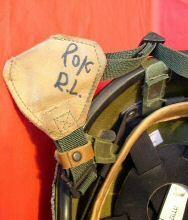 "PASGT - clone made by the ORLITE company. 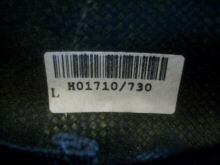 It looks like an export version. 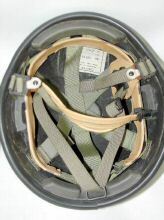 The chin strap lock is the old model. 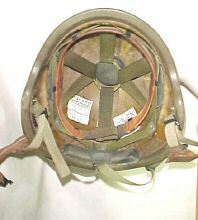 Inside is the lable with the date 9.90 and the type OR 800." 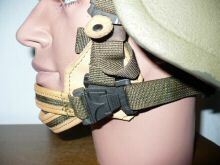 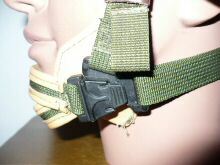 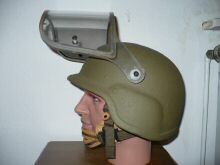 "A PASGT - clone with ballistic visor. 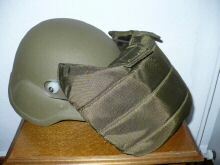 The visor is protected with a special bag. 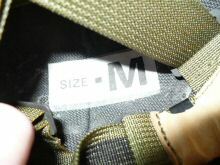 The bag is padded with foam. 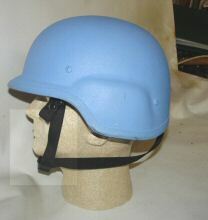 It looks like an export version. 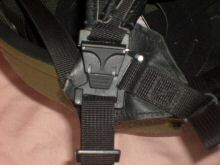 The chin strap lock is the old model. 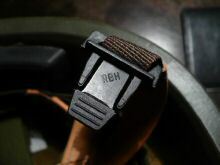 In the lock is the marking RBH. 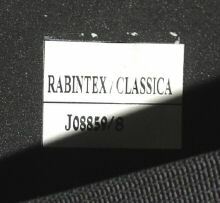 Could it be Rabintex? 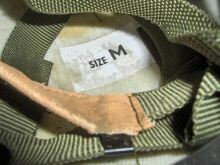 The label inside only show the size." 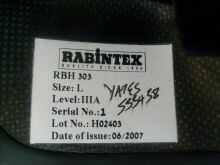 Rabintex label - note date, 2007. 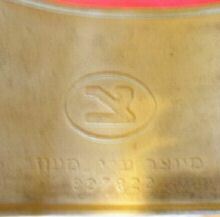 Assumed made in Israel, but probably an export item, but for which country? 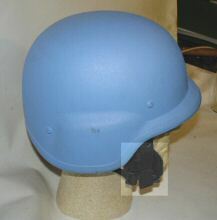 this one by UN police in Haiti. 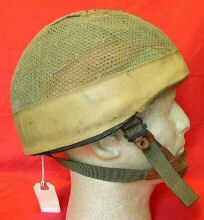 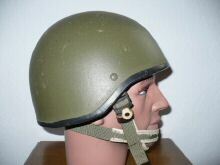 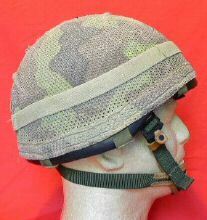 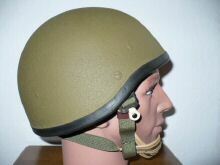 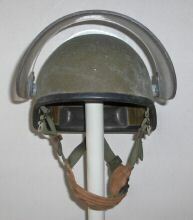 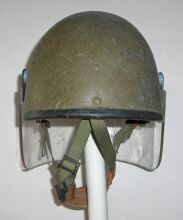 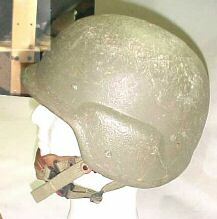 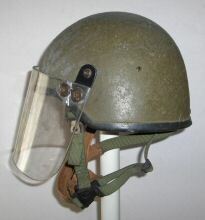 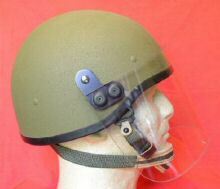 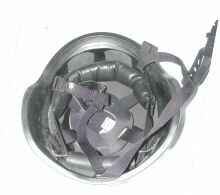 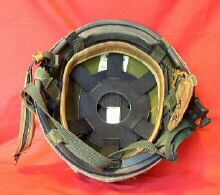 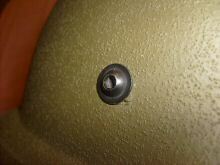 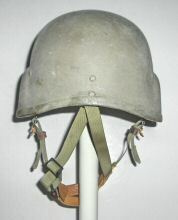 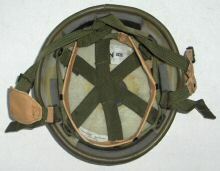 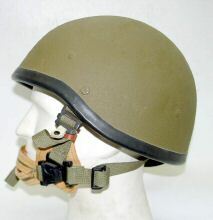 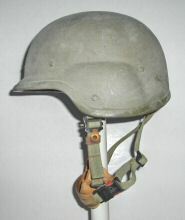 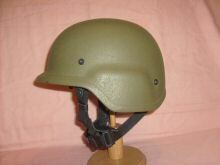 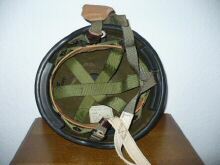 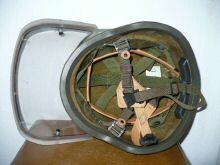 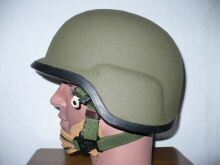 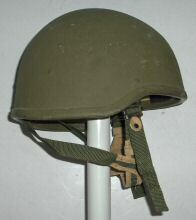 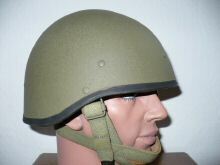 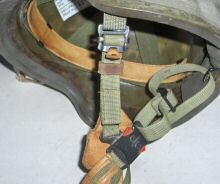 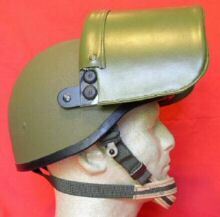 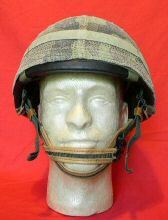 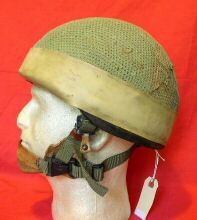 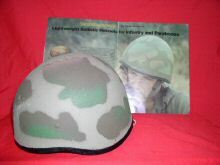 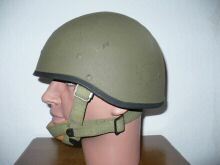 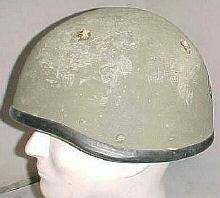 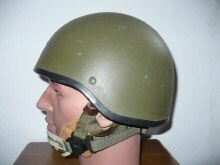 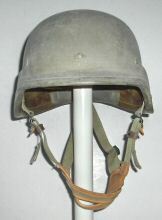 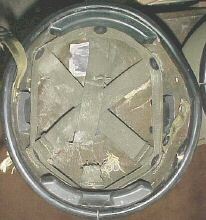 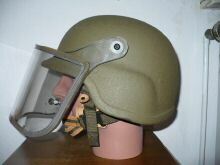 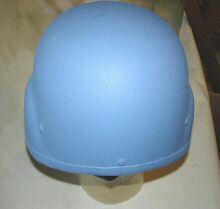 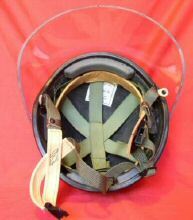 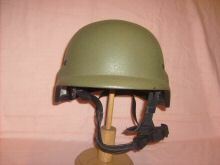 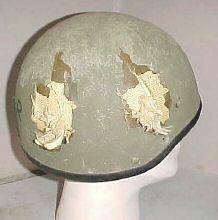 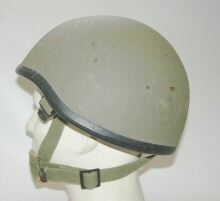 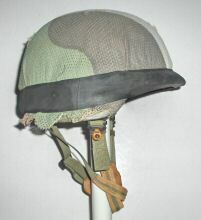 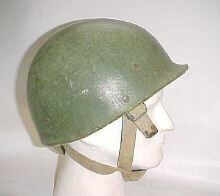 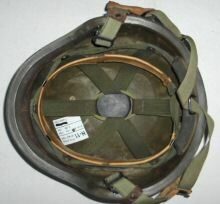 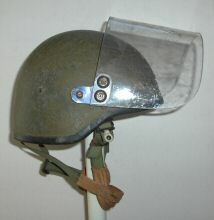 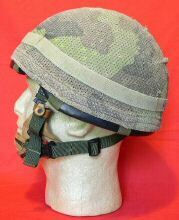 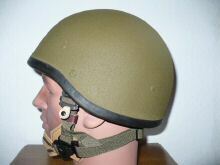 "This a a neat size large Rabintex-made helmet (probably an RBH103) with a standard issue cover. 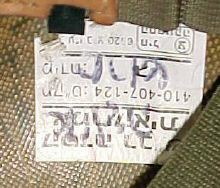 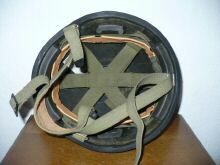 It was used by a member of the 601st "Asaf" Armored Engineer Battalion, 401st Armored Brigade, during the 2nd Lebanon War. 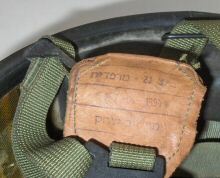 On the rear of the cover (see the rear shot) it shows the helmet cover label as well as the word "Asaf" in cursive Hebrew on the cover's elastic band. 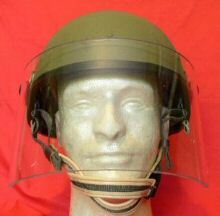 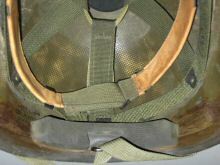 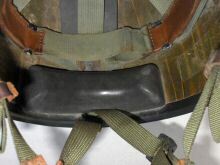 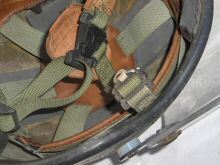 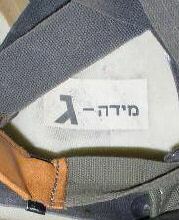 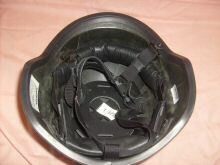 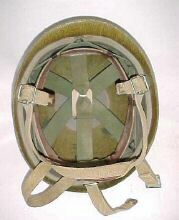 The image with the cheek pad show the pad with the "Asaf" and the label in the lower right of the image indicates the helmet is a size large (Hebrew letter gimel)."